The structural optimization of adaptaquin, viz., 7-(4-chlorophenyl)[(3-hydroxypyridin-2-yl)amino]methylquinolin-8-ol, a HIF (hypoxia inducible factor) prolyl hydroxylase inhibitor, was carried out. This was done by cell-based screening using cell lines stably expressing a reporter construct consisting of the fusion protein of HIF oxygen-dependent domain and firefly luciferase (HIF1 ODD-luc). More than 100 structural analogs of adaptaquin were screened and the structures active in the submicromolar range were selected. 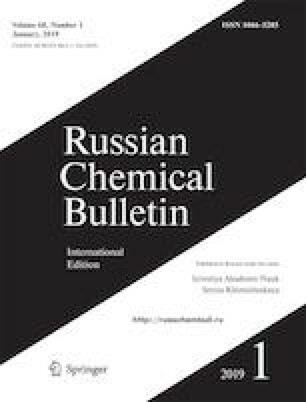 The highest activity was found for analogs containing isobutyl, isopropyl, trifluoromethyl, and nitro group or halogen atom in the para-position of the benzene ring, but not a dimethylamino group or more bulky substituents. The lack of dependence on the donor-acceptor properties of substituents attests to predominance of the steric effect. The presence of methyl group in positions 3 and 5 of the pyridine ring provides additional activation. The 2-methyl group present in the hydroxyquinoline scaffold (50 compounds in the set) prevents coordination of the inhibitor in the active site and significantly reduces the activation. According to the real-time PCR results, the newly improved adaptaquin analog induces HIF target genes 15-times more efficiently than the FG-4592 inhibitor developed by Fibrogen. Published in Russian in Izvestiya Akademii Nauk. Seriya Khimicheskaya, No. 1, pp. 0168–0173, January, 2019.